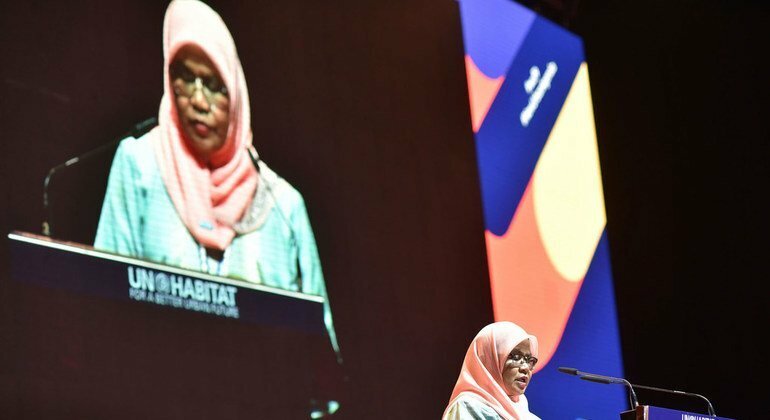 “With its genuine openness and inclusive nature, the World Urban Forum (WUF9) is unique on the United Nations conference circuit,” said Maimunah Mohd Sharif, Executive Director of UN-Habitat in her remarks to the opening of the Forum, which runs through Saturday, 13 January. “It is a chance for stakeholders from all over the world – from ministers, local government and urban planners, to civil society groups, the private sector, academia and the media – to contribute to the global conversation about our cities and human settlements,” she added. Ms. Sharif called WUF9 a platform where people from all walks of life share their experience of finding homes, jobs and lives in urban spaces around the world and a chance for some of the world’s most marginalized to highlight their experiences in being denied some of the advantages cities pose. For current and future partners, the UN-Habitat chief saw the Forum as an opportunity to showcase the innovative ideas and solutions to challenges being confronted in urban and rural human settlements – and to learn from experts in the field. Ms. Sharif maintained that WUF9 is “the ideal platform to debate the contribution that positive urban development makes to delivery of the Sustainable Development Goals (SDGs), in particular Goal 11, and the New Urban Agenda,” which was adopted in 2016 by the UN conference known as Habitat III. Recent debates and studies have indeed acknowledged that sustainable urbanization is an essential tool for addressing the global challenges of poverty, exclusion, conflict and climate change. WUF9 is the first major milestone after the adoption of the New Urban Agenda, which lays out the vision for future cities based on the science of urban development providing tools in crucial areas. 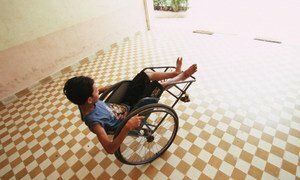 Persons with disabilities, as both beneficiaries and agents of change, can fast track the process towards inclusive and sustainable development, and for the 2030 Agenda to truly live up to its promise to 'leave no one behind,' all physical and cultural barriers must be removed to create societies that provide real opportunities for everyone everywhere, the United Nations has said.